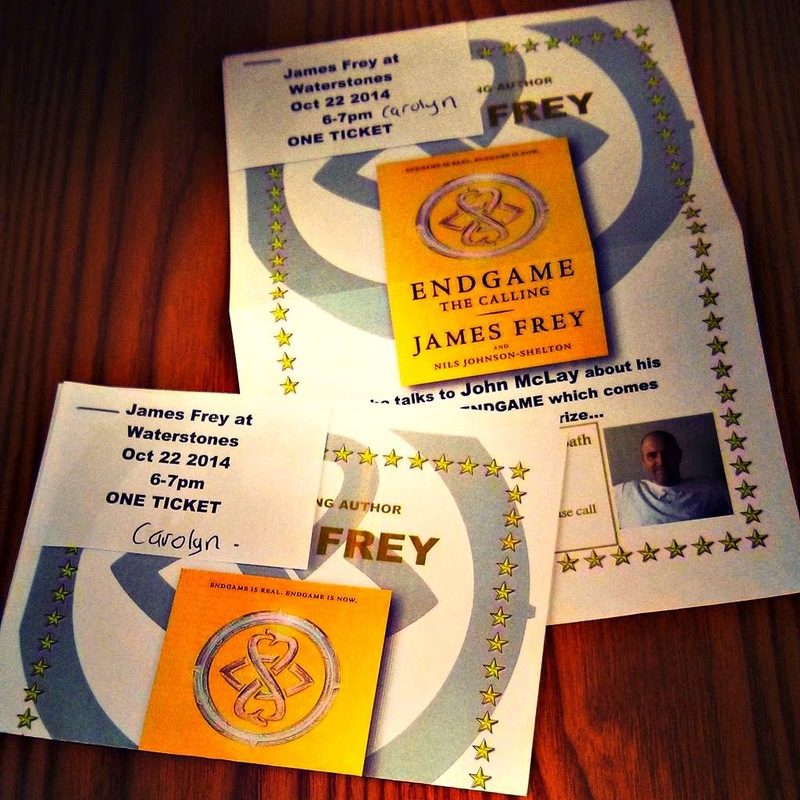 I recently reviewed Endgame by James Frey, a new YA fiction trilogy, co-written by Nils Johnson-Shelton. 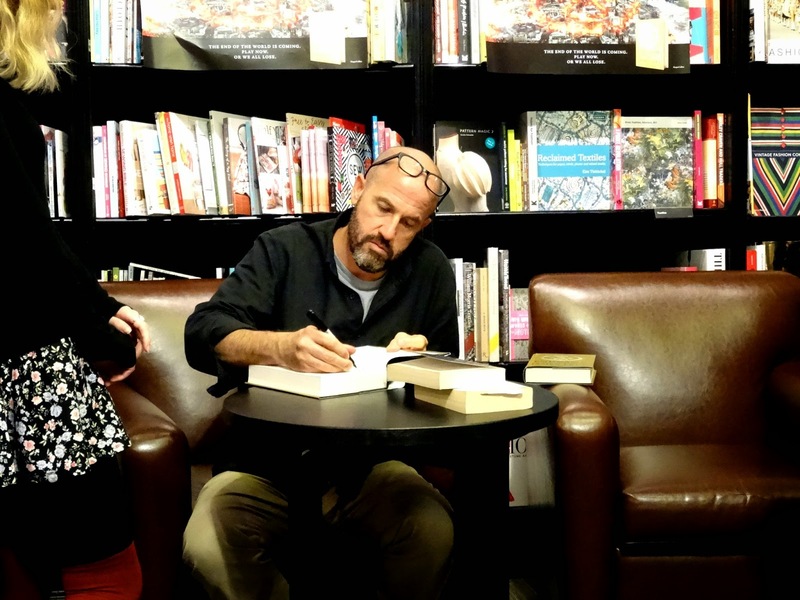 If you think you've never heard of James Frey before, think again, because the bestselling author brought us the very successful Lorien Legacies series. With the LL coming slowly to an end, James has now published another highly addictive series: the first book in the Endgame trilogy was officially released on the 7th October 2014 in over 160 countries, which marks one of the biggest simultaneous releases in publishing ever. 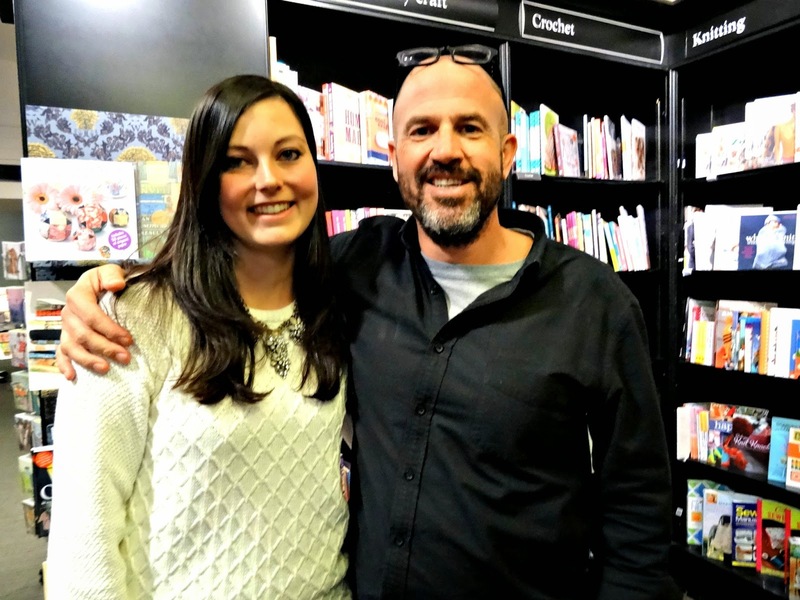 James is currently on a big promo tour and he stopped by in humble Bath just a week ago. Last Wednesday, I made my way over to Bath. My friend couldn't make it, so I went to the event on my own. 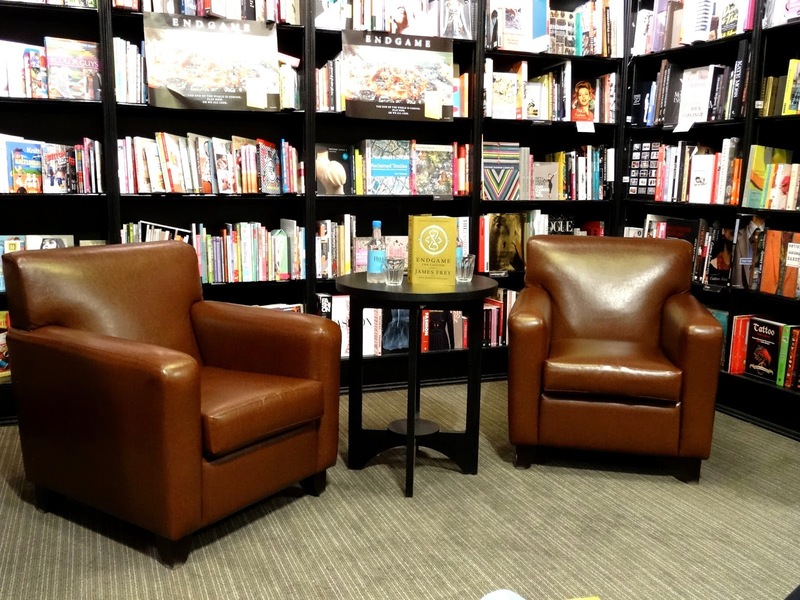 The Waterstone's is right in the middle of Bath's posh high street and it is one of the best ones I've ever been to. The staff were very friendly and supportive, so at this point, I'd like to say a big thank you to everyone for organising such a great event. Anyway, there were posters of Endgame everywhere which created a great atmosphere right from the start. Upstairs waited 20 people for the event to beginn in and I sat in the second row which was only a couple of meters away from James. 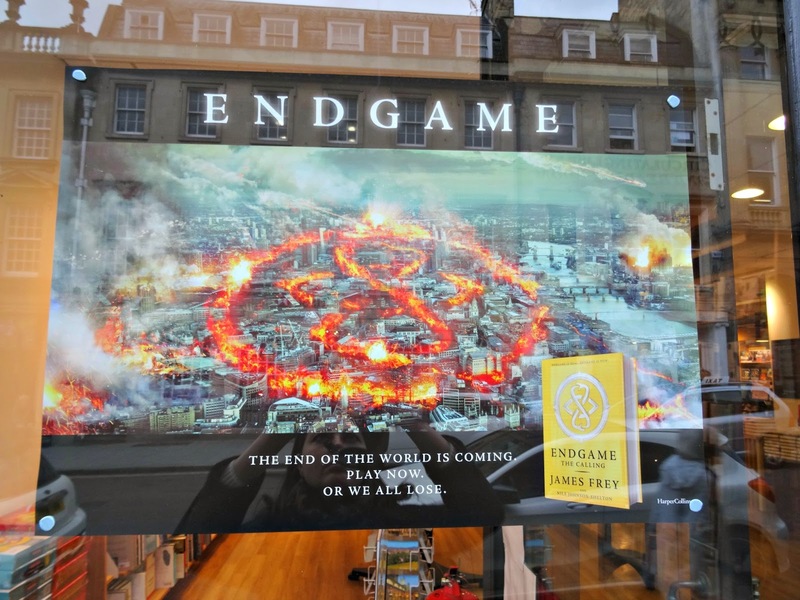 James casually spoke to John McLay, author and artistic director of The Telegraph Bath Kids Literature Festival, about Endgame, the massive campaign around it and he also dropped one or two secrets on what is going to happen to the Lorien Legacies. The idea and inspiration for Endgame came from a children's book called "Masquerade" by Kit Williams which is quite popular here in the UK. James worked two months on his research before he started writing. He admitted he found it fascinating to include and solves puzzles, so he gathered a team of PhD's around him to create the mysterious riddles for Endgame. It was fascinating to hear, how he constructed the plot for each of the Endgame books and shared some insights into his research. I found it interesting that all names from the 12 descendants in the book are based on the 12 ancient civilisations that lived on earth thousands of years ago. Did you know that the pyramid outside Xi'an really exists? The characters meet here to start Endgame and receive instructions and clues where to start their search for the three magical objects. Until today, the Chinese government keeps the pyramid a secret and it was last seen during the first world war. 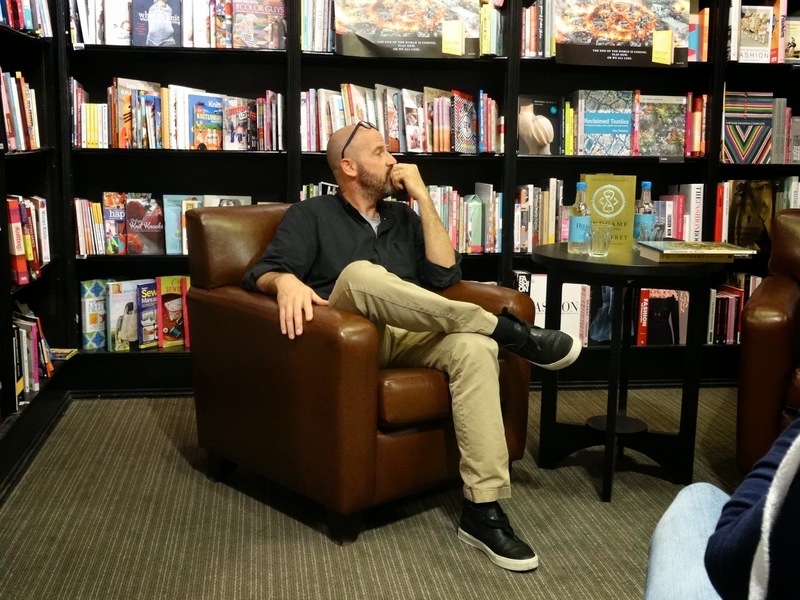 With Endgame, James and his team aspire to create one of the biggest storytelling next to the Marvel and Star Wars universe with a massive fan base and interactive connection to the book. I think this is a very ambitious aim and I'm interested to see how a fictional world will be taken out of its context into the real world to make readers identify with the fiction. Each book release is accompanied by a massive prize draw. Readers need to solve the complex riddles in between Endgame chapters to get the chance of winning $500,000 which will increase to a million in the second book and $1.5million for the third book. Each book represents a key that can open the treasure chest located at the Caesars Palace in Las Vegas, USA. If readers can't solve the puzzles within five years, all the money will go to charity. 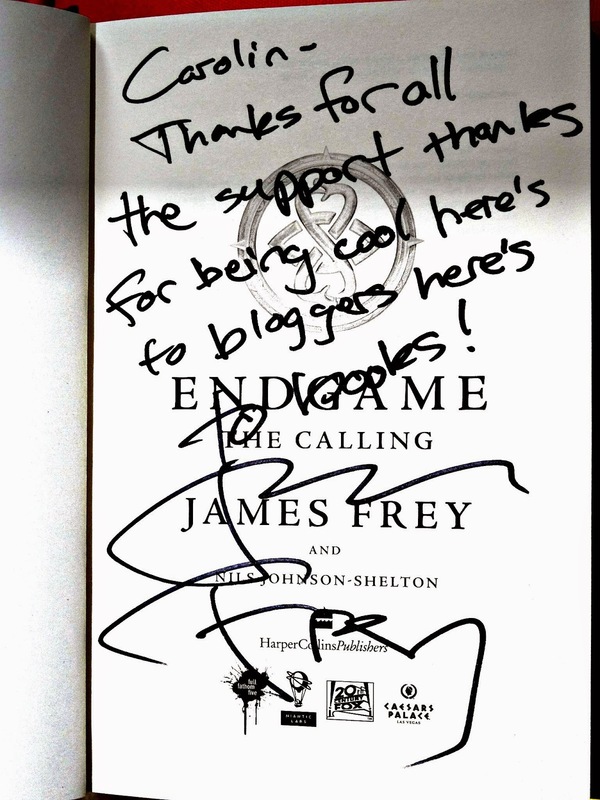 After the event, James took all the time in the world for each fan. It was a very nice atmosphere because he really took his time to answer questions, sign copies and pose for pictures with everyone. He is such a nice guy and I'm looking forward meeting him again. Maybe next year when the second Endgame book will be released. He told me that he has finished the drafts and like the Lorien Legacies, the Endgame series will be accompanied by some additional novellas. The film rights have been sold and the first movie will be out in 2016. So it's all very, very exciting. We spoke briefly about the fate of the Lorien Legacies and he promised to make the next book longer than the last. He also confirmed the next one will be out in August 2015 and dropped a major surprise, which I can't tell you for discretion reasons. Thank you so much for reading today's post and I hope you've enjoyed it. Have you read Endgame yet?